Archaeologists do not know much about Al-Rajajil, such as who built them and what their purpose was. The stones do not seem to fulfill any religious purpose as no human remains or religious artifacts and offerings were discovered in the vicinity of the stone pillars. However, the alignment of the stones seem to suggest an astronomical connection. This is not immediately apparent from the ground level, but aerial images suggest a rough alignment to sunrise and sunset. It is also possible that the pillars were landmark for a trade route. Al-Jouf was a significant stopover point on several ancient trade highways which connected the Arabian Peninsula, Egypt, Mesopotamia and Syria. One trade route, one of the oldest land route in recorded history, ran from Yemen and parallel to the Red Sea coast through Madinah, Al-‘Ula and Madaen Salih. It turned northeast to Al-Jouf and then north toward Damascus and Turkey. By traveling north and northeast to Al-Jouf, then east in this way, the road avoided the harsh sands of the Great Nafud to the south and the less passable terrain of Wadi al-Sirhan (Sarhan) to the north. The stones may have been an indicator of the presence of the cross-road, and the safer route to take. 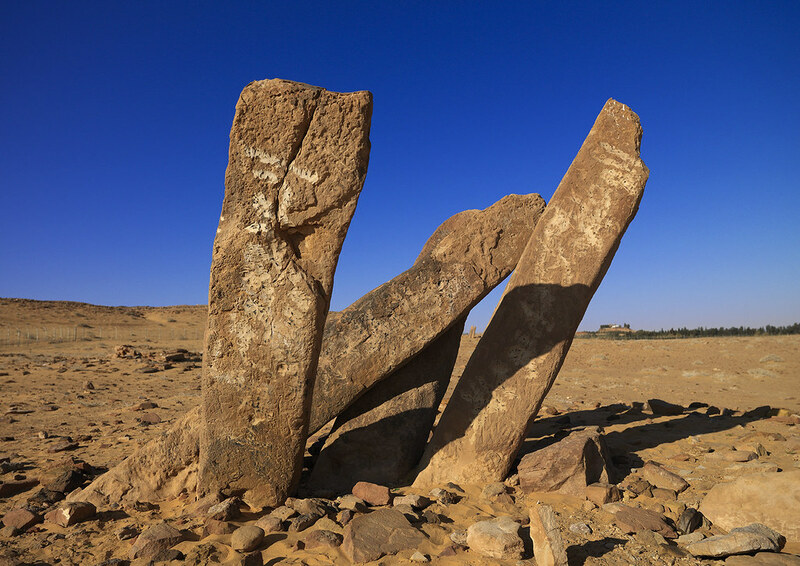 The standing stones of Al-Rajajil represents an enigma that very few have heard of.